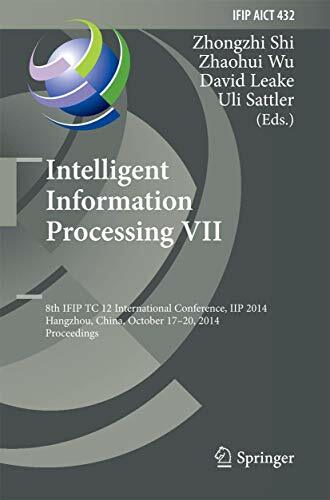 This book constitutes the refereed proceedings of the 8th IFIP TC 12 International Conference on Intelligent Information Processing, IIP 2014, held in Hangzhou, China, in October 2014. The 32 revised papers presented were carefully reviewed and selected from more than 70 submissions. They are organized in topical sections on machine learning, data mining, web mining, multi-agent systems, automatic reasoning, decision algorithms, multimedia, pattern recognition, and information security.